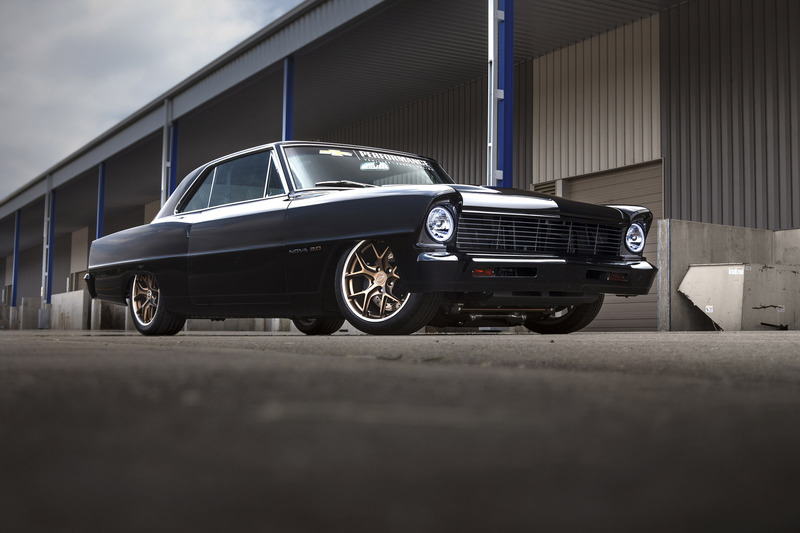 Demonstrating the evolution of high-performance and the latest in crate-engine technology, Chevrolet's turbocharged 1967 Nova 2.0 is a contemporary hot rod with timeless style. 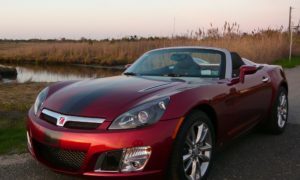 Chevrolet Performance engineers built the car to showcase the "LTG" direct-injected 2.0L turbo crate engine as an alternative to conventional V-8 conversions. 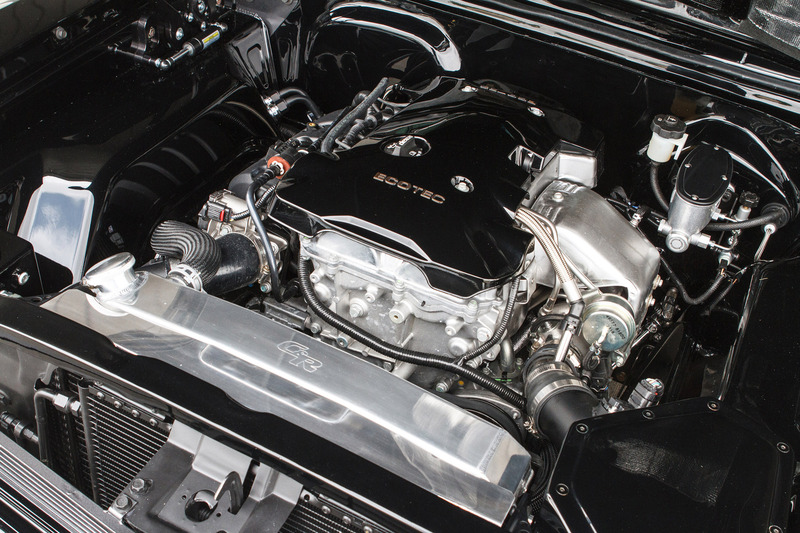 Rated at 272 horsepower, it offers comparable power to the 275-hp 327 (5.3L) V-8 originally offered in the '67 Nova SS - and more than the 195-hp 283 (4.6L) V-8 also offered in the Chevy II Nova lineup. 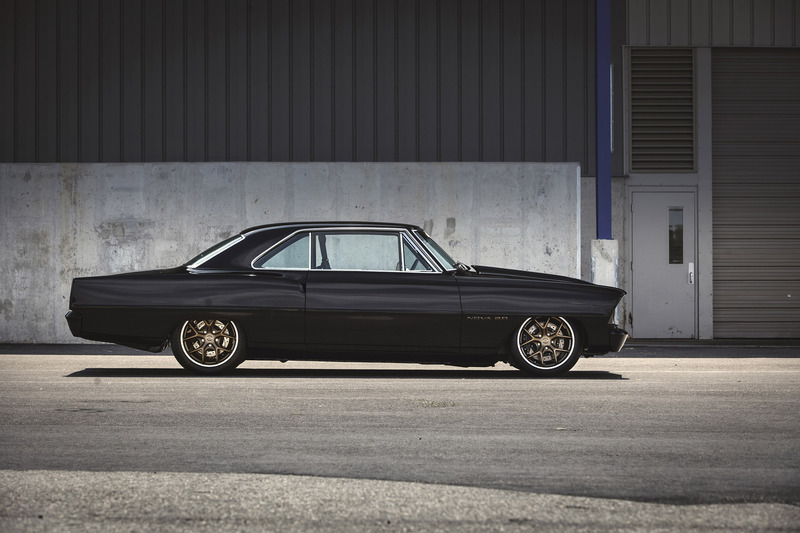 With a curb weight of approximately 3,100 pounds, the 327-powered Nova SS was widely praised in its day for a strong power-to-weight ratio, which helped make it one of the industry's quicker muscle cars. 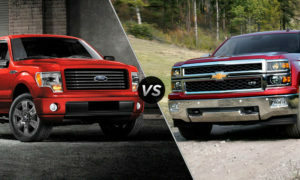 That performance advantage is amplified in the Chevrolet Performance concept, as the all-iron V-8 has been replaced with an all-aluminum turbo-four, for a more enviable 50/50 front-to-rear weight distribution. 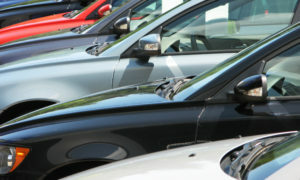 And in place of the original four-speed transmission is a modern six-speed manual. The modern, lightweight powertrain helps the Nova 2.0 sprint from 0 to 60 mph in 6.2 seconds. 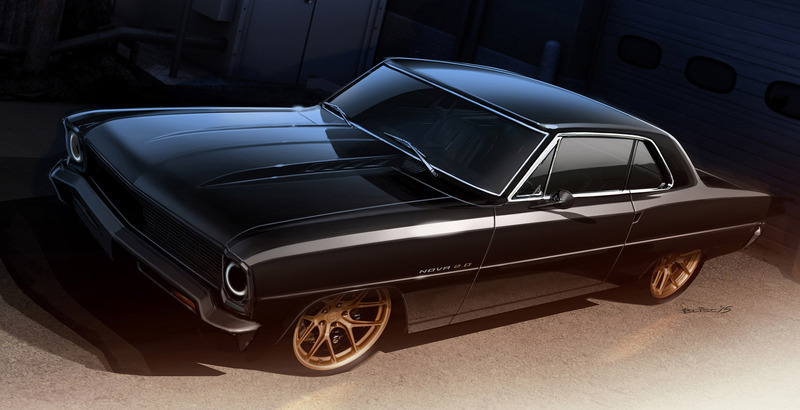 The LTG crate engine, the electronic control unit, the engine accessory-drive system and even the six-speed manual transmission - and requisite installation kit - are all available from Chevrolet Performance. 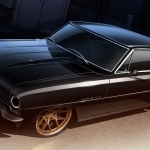 In addition to its modern powertrain, the Black Gold-painted Nova 2.0 is home to a host of contemporary hot-rodding touches, including a billet aluminum grille, narrowed and tucked bumpers, shaved door handles with electronic latch releases, custom 17-inch Z/28-style wheels - in a satin bronze finish - and four-wheel disc brakes. The suspension has been updated with height-adjustable air bags, front and rear, and a triangulated 4-link design in the rear.